Two new species of frog have been discovered in Llanganates National Park neighbouring the Ecuador Cloud Forest corridor, recently purchased by Fundación EcoMinga (EcoMinga) using donations from the Forests in the Sky appeal. The two species of frog, the Llanganates Rain Frog (Pristimantis llanganati) and the Yánez Rain Frog (Pristimantis yanezi), have been classified into the Pristimantis genus, which is the most diverse genus of amphibians worldwide. 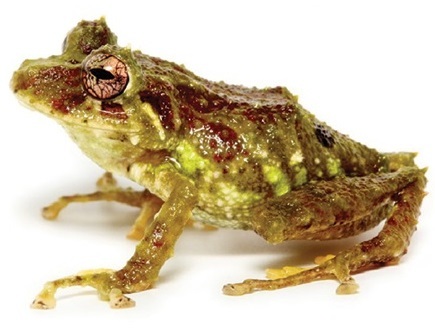 This diversity could be due to the evolution of Pristimantis species to have terrestrial eggs and no tadpole stage, which allowed these frogs to colonise land. Both species have warty skin with mottled colouration; the Llanganates Rain Frog a red-brown with darker tiger-like stripes and spots of algae green around the head and back, the Yánez Rain Frog a pale green with mud-green stripes and burgundy patches around the head and back. Both species also have remarkable coloured eyes to match their striking camouflage patterns. Santiago Ron, Professor at Universidad Católica del Ecuador and co-author of the research paper, said “With this discovery there are now 30 species of frogs in Ecuador that I have described. The first was Osteocephalus yasuni, discovered 17 years ago in collaboration with Jennifer Pramuk. 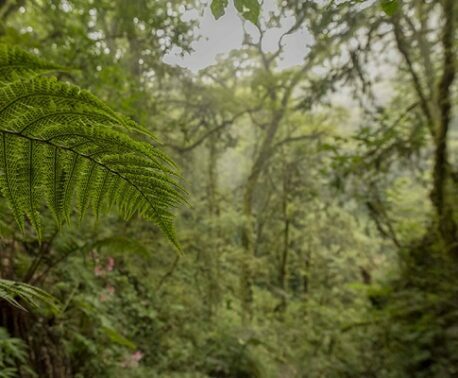 The money raised from the Forests in the Sky appeal purchased 2,545 acres (1,030 hectares) of cloud forest, protecting a strip from the high peaks of Los Llanganates (altitude 3,400 metres above sea level) down to the north bank of the Rio Pastaza. 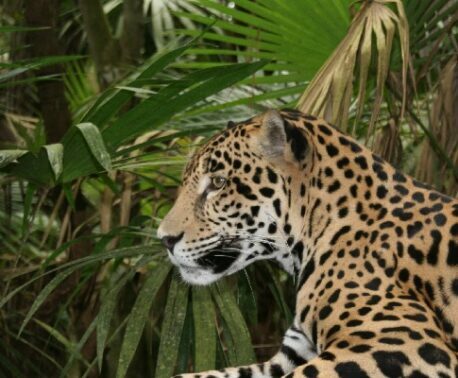 However, WLT is still raising money to save more of this species-rich area and complete the corridor. You can support this work by donating to the Forests in the Sky Appeal.